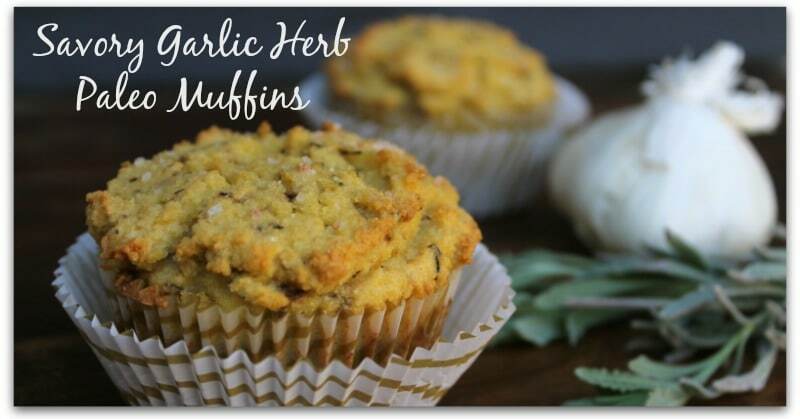 If you're trying to avoid sweet sugary things in the morning, but still love a good muffin, these savory garlic herb paleo muffins really hit the spot! They are made with coconut flour, so they are gluten free, keto and even nut-free as well. 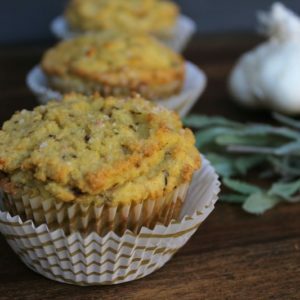 If you’re trying to avoid sweet sugary things in the morning, but still love a good muffin, these savory garlic herb paleo muffins really hit the spot! They are made with coconut flour, so they are gluten free and even nut-free as well. 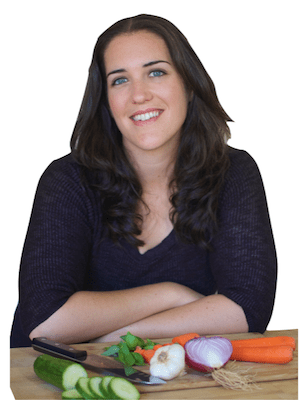 These also make a great addition to lunch or dinner if you’re missing out on having bread with your meal. I like to use these as a substitute for biscuits in meals where you might have one. 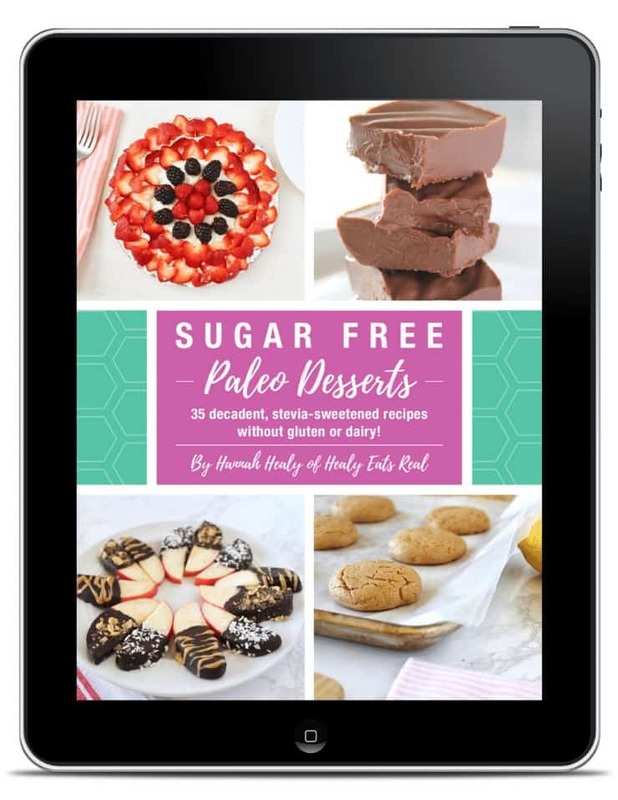 Since they are made with coconut flour they are naturally pretty low carb and high fiber. In fact, there are only 2 net carbs in each muffin, so if you are looking for a good snack while on the keto diet, these are great! You can even cut it in half, toast it and slather on some grass fed butter for a delicious high fat low carb keto snack. Yum! Pre-heat the oven to 350°. Melt the coconut oil and combine with remaining muffin ingredients in a food processor or bowl, mix well. Place batter in a muffin tin lined with muffin liners. The muffins will rise a small amount, so you can fill the muffin liner about 3/4 full–almost to the top. Bake for about 20-30 minutes or until a toothpick inserted comes out clean and the tops are slightly browned. These look amazing! I plan to make them for an upcoming camping trip — super easy breakfast. 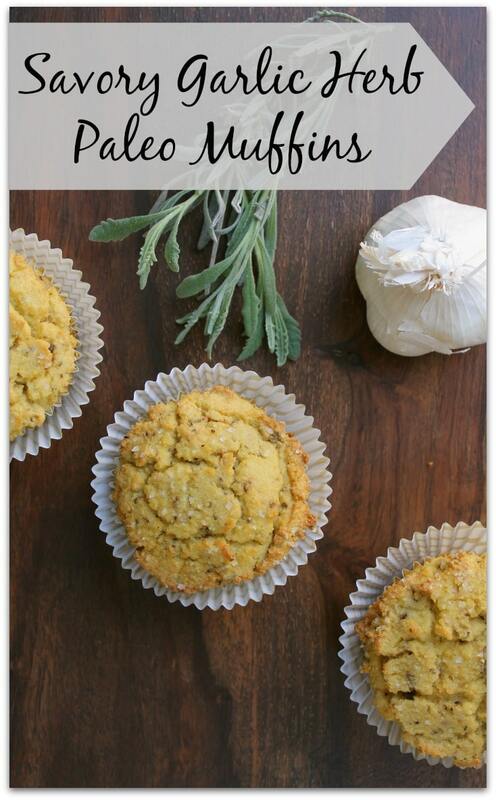 I’ve made savory grain-free muffins in the past, but they’ve always ended up a little oily. Excited to try this one! Thanks for the recipe. Possible to substitute the oil for greek yogurt? So good!! I didn’t realize I only had 3 eggs so I decide to use 3 Tbls of flaxseeds and 1 Tbls of water) – worked out great! I also used herbs de provence for my seasoning. Did I miss the nutritional information on this page? I can’t seem to find it. Need to know total carbs not net carbs. Can I use any kind of coconut milk with this? Such as the Thai Kitchen brand? Tried these but they didn’t turn out. 🙁 Maybe the baking soda amount was wrong, most recipes I use only ask for 1/2 teaspoon of baking soda at most. These turned out moist & beautiful, unfortunately though inedible. They tasted like baking soda. Next time I’ll try it with 1/2 of the baking soda. If I were to use almond flour instead of coconut, would I have to change the number of eggs or anything else about the recipe? I’ve gleaned that I would probably use 4x the amount of almond flour as coconut, so 2 cups for these. Any other guidance before I experiment?? I can’t speak to any changes like that since it would drastically change the recipe, so it may not turn out. I know that you don’t need as many eggs when using almond flour though. Hope it turns out!